Samitivej Hospital is a leader in health care in Thailand and Southeast Asia. We are accredited in Thailand and recognized as a premier health center. 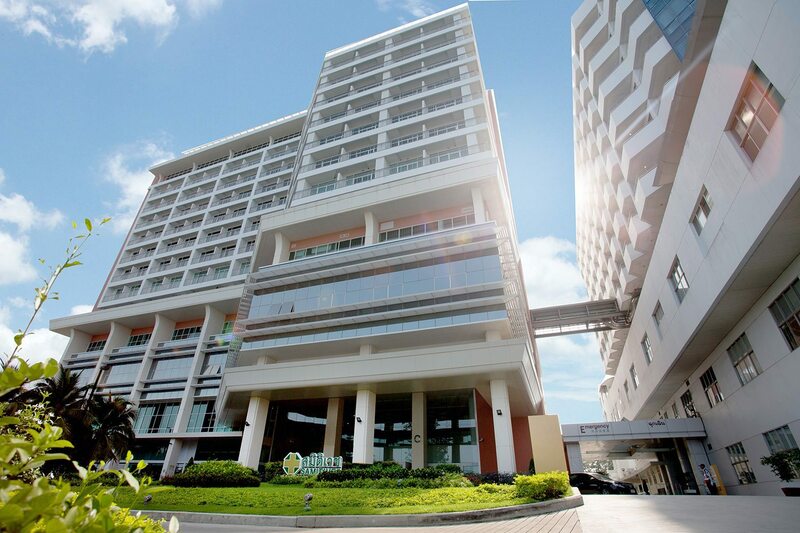 Samitivej is a leading, JCI-accredited hospital group in Thailand and Southeast Asia. The fully-equipped Sriracha Hospital and Medical Tourism Center offers services for Thai residents, tourists and expatriates in eastern Thailand. Samitivej Sriracha is a 150-bed hospital located 130 km Southeast of Bangkok. Strategically located in one of the main industry hubs of Thailand, and close to the busy Laem Chabang port, Samitivej Sriracha is a key healthcare provider for corporations and industries along the Eastern seaboard. The proximity of Sriracha to the resort town of Pattaya and also attracts many tourists looking for quality healthcare facilities. 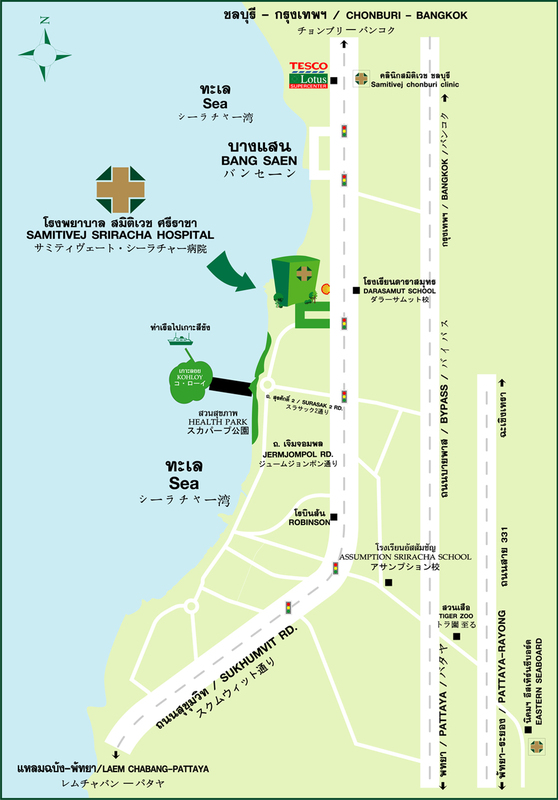 Medical tourists will find us within close reach of Suvarnabhumi Airport. Since its opening more than 10 years ago, Samitivej Sriracha has developed a reputation for its quality of care and warm hospitality. The hospital, with 15 fully-equipped intensive care units and six operating rooms complemented by a team of dedicated specialists and caregivers, has developed a reputation within the local communities as a healthcare provider of choice. Samitivej Sriracha considers itself an integral part of the community and has established many services for the wellbeing of the surrounding population and our international tourists; these facilities include our Children’s Clinic, Dental Center and Wellness Center. Samitivej Sriracha, as a member of the Samitivej Hospital Group, has access to extensive technology and expertise from our colleagues at Samitivej Sukhumvit and Samitivej Srinakarin Hospitals. Our network provides greater continuity of care for patients from Sriracha. Samitivej Sriracha Hospital is also dedicated to the improvement of medical care and technology for our local patients. Samitivej Sriracha will continue to expand our facilities and services to fulfill our vision to provide our patients the highest standards of quality and excellence in every aspect of healthcare.